Skincare involves many steps and one important being scrubbing. With this step you can wrong if you overdo it as well as under do it. Scrubs have evolved over the ages from delicate facial scrubs to natural ones as well as the ones for the body as well. 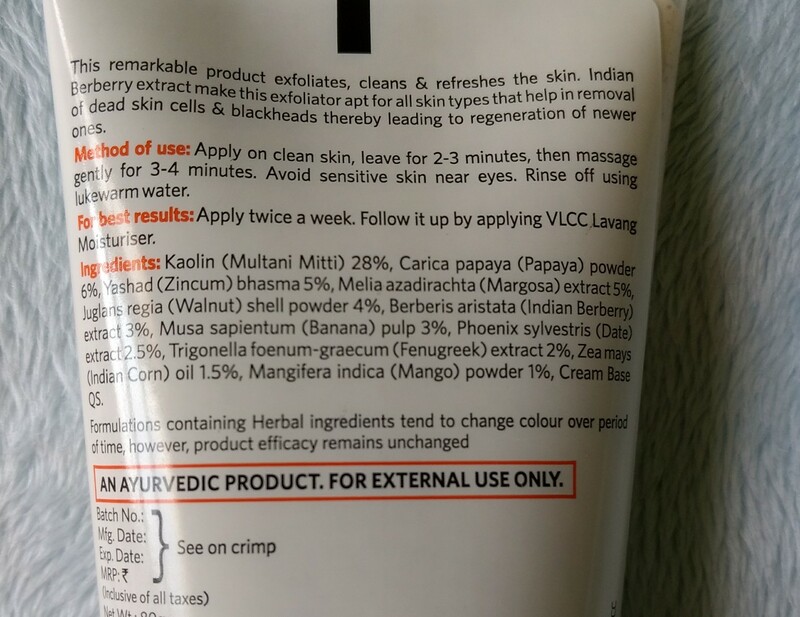 Today we are looking into the VLCC Indian Berberry Face Scrub meant for all skin types. 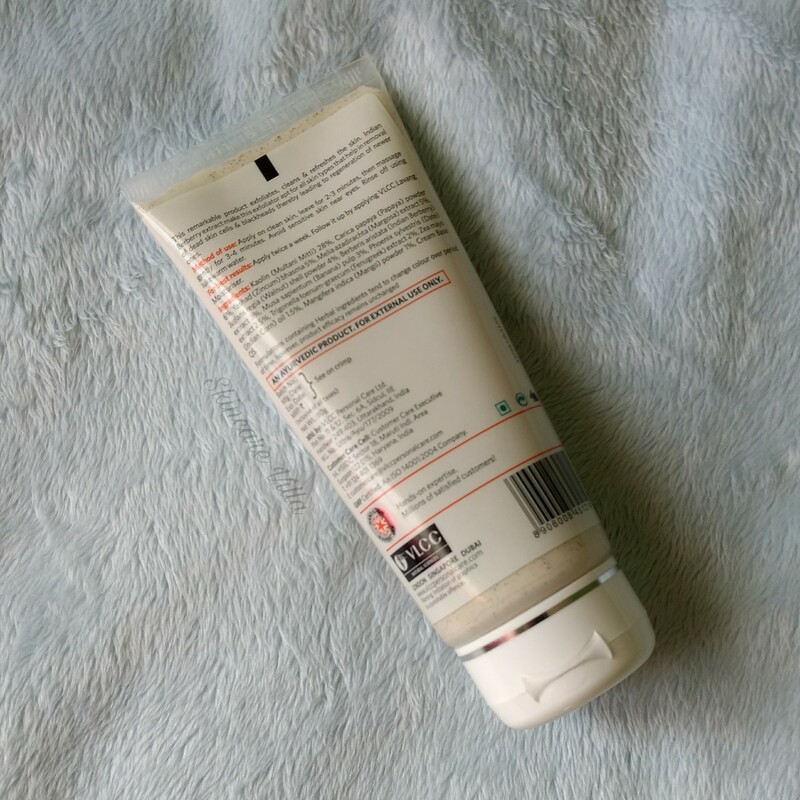 From the pictures, you can see the scrub is packed in a transparent flip cap tube. Transparent packaging helps to check the quantity of the product and this packaging is very travel friendly and hygienic as opposed to scrubs in tub form. The product has a distinct berry fragrance and is a little thick in consistency. The scrub has walnut particles which are tiny in size. This makes more appropriate for facial exfoliation rather than the body. The scrub contains Kaolin and this is the first time am using a clay based scrub. The scrub is very effective in terms of exfoliating dead skin cells and white heads. 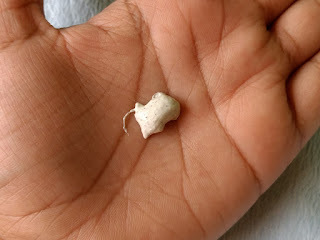 It leaves the skin smooth but with a little but of dryness. Since the weather is already acting up this scrub would be appropriate for summers. The skin is left a but glowing( maybe due to Kaolin clay) and papers radiant for a while. 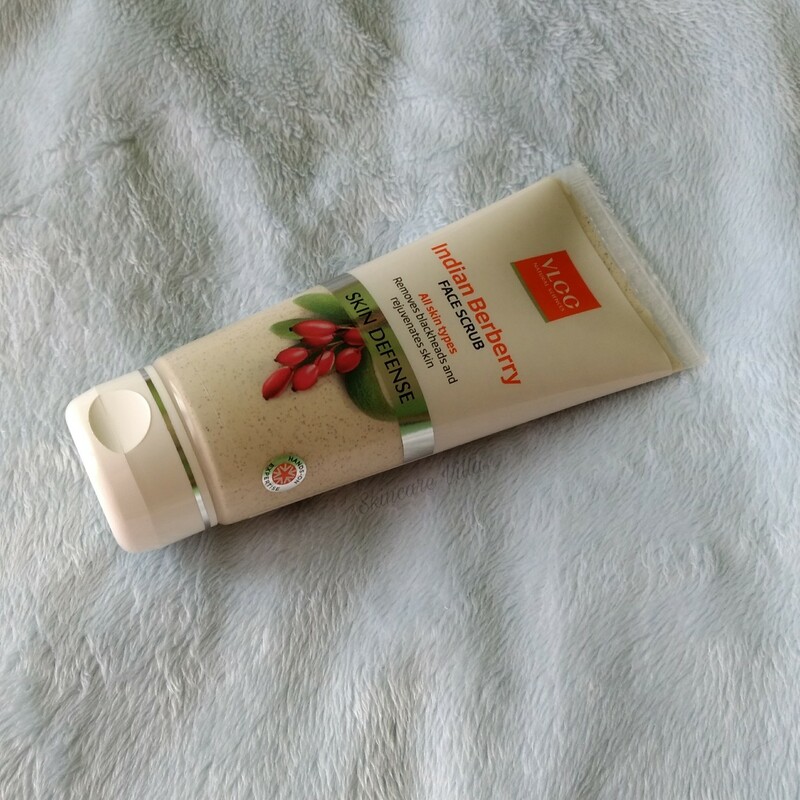 If you plan to use the scrub as per the directions of usage given on the pack, I would suggest adding some water so that the scrub isn't abrasive on the skin. If you are working on a smaller area like just nose, the scrub need not be added with water. But for larger area adding water or rose water is recommended. Overall I am highly impressed with the scrub for remove black heads and dead skin cells. The appearance of the black heads is also minimized by this scrub. Price, Shelf life and Availability - 220 INR for 80 gms with a shelf life of 3 years. Mostly available on discounts on major shopping portals. Also available in stores. 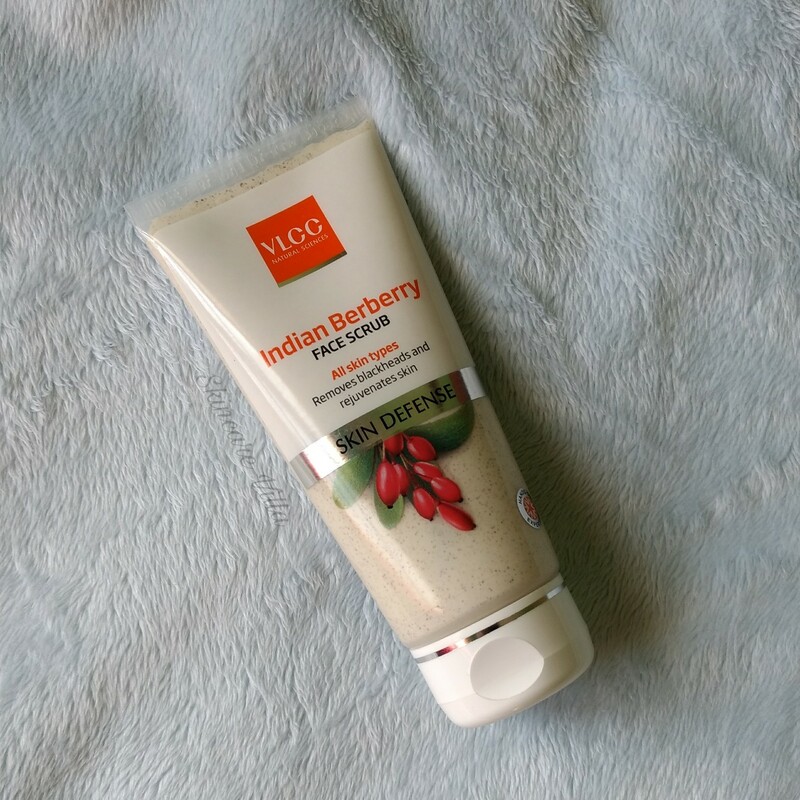 I would recommend the VLCC Indian Berberry Face scrub for its efficiency in removing dead skin cells without being harsh. The product being travel friendly as well as budget friendly will only suite oily skin. Dry skinned beauties will have to skip it as it contains Kaolin clay which may aggravate the dryness of the skin.